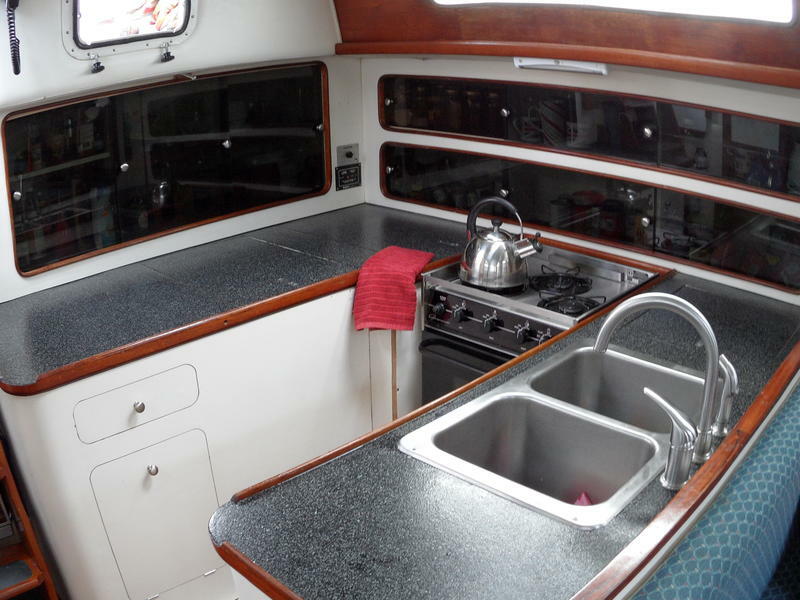 This boat is perfectly suited for a couple or family with its spacious layout and large deep and well protected cockpit. 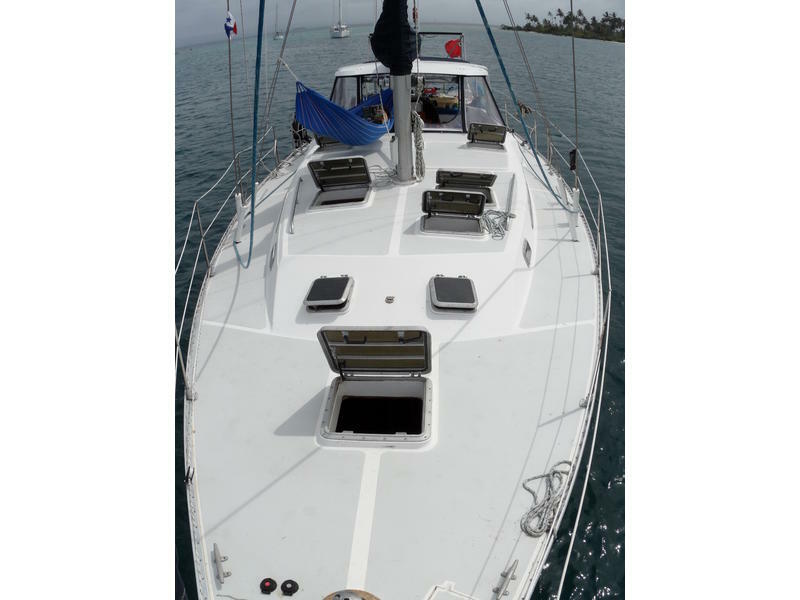 She is a sturdy safe boat and has protected us in some major weather. 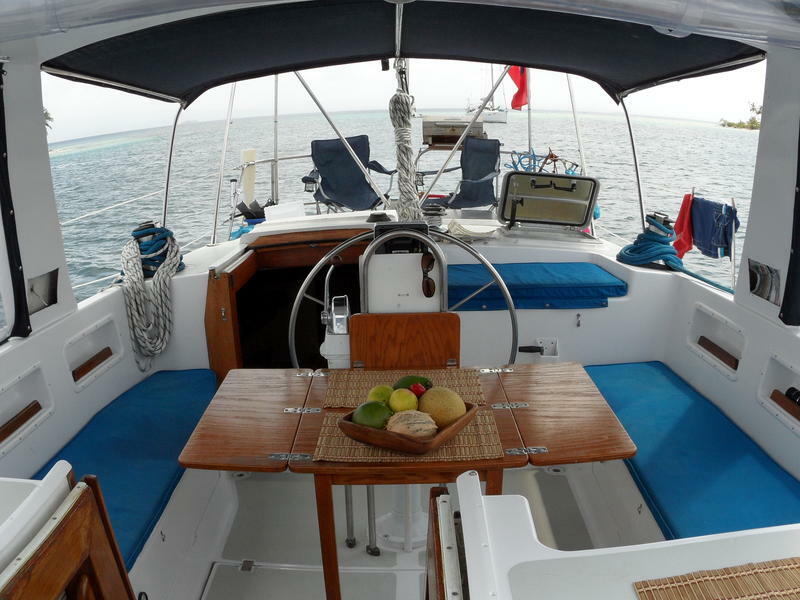 This is a beautifully kept boat  which has had a major extensive refit between 2010  2011. 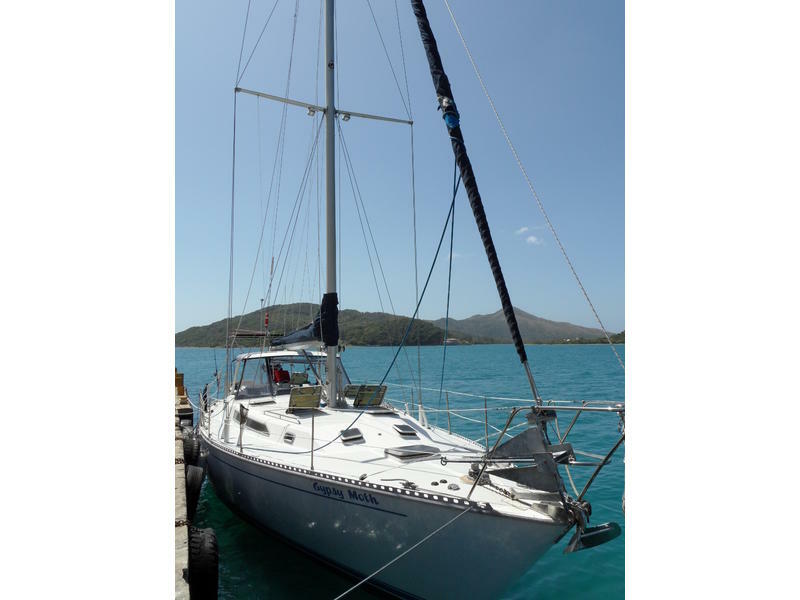 She has been fitted out to be a self sufficient world cruiser, has a very simple sail plan designed for ease of sailing. 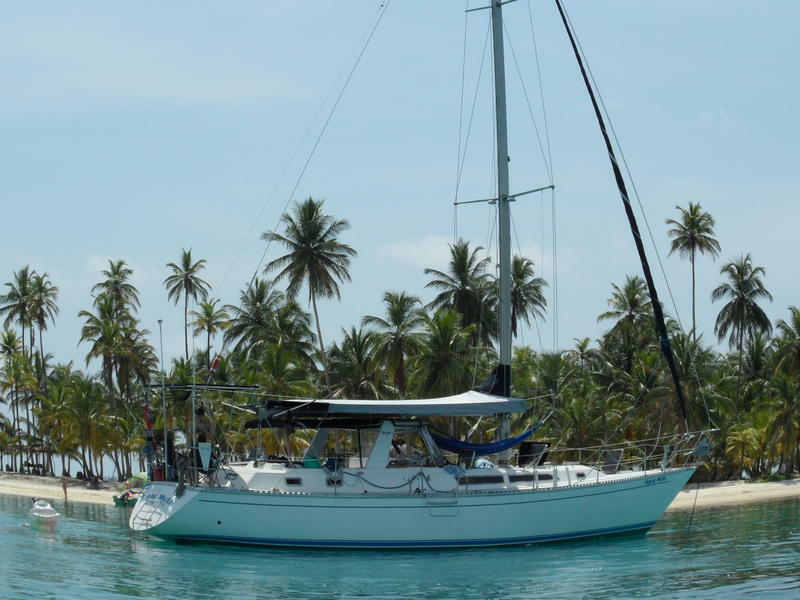 She is a turn key yacht ready to set sail around the world. 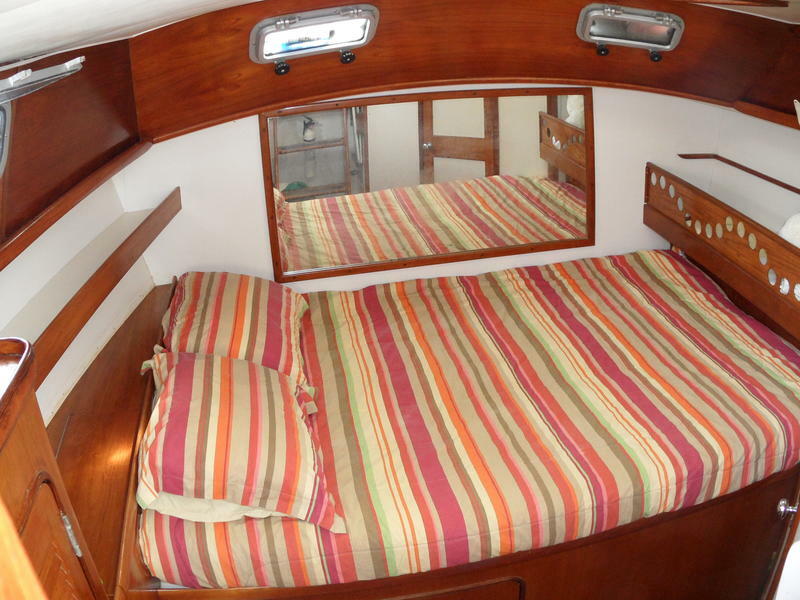 She has three cabins, sleeping 6, plus an additional four berths in the saloon area  so she sleeps 10 in total. She has been decorated beautifully with an airy modern feel as shown in the pictures. 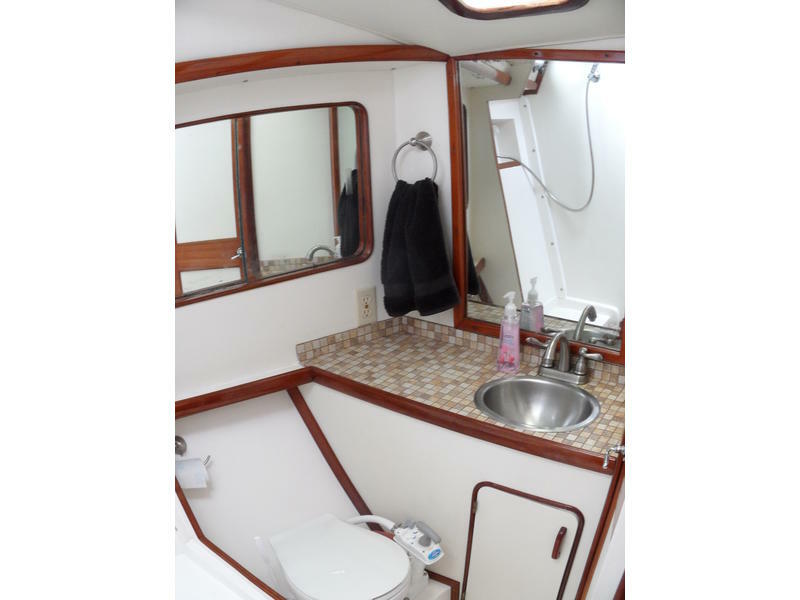 From the centre cockpit going down the aft companionway is the master stateroom with athwartships queen berth and private bathroom with separate shower. 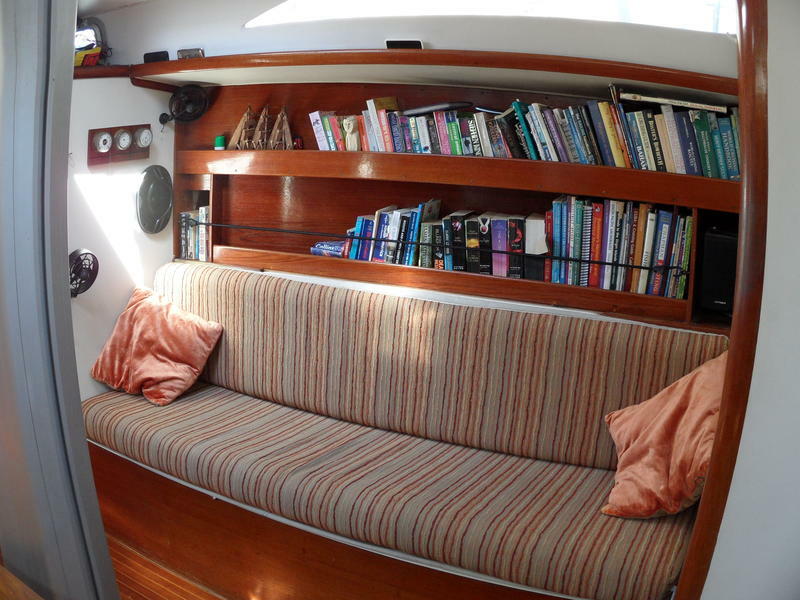 From the centre cockpit going down the forward companionway, the 3rd stateroom is to starboard with over/under berths and the 2nd stateroom is all the way forward with a large v berth comfortable double berth and separate access to guest bathroom and shower. 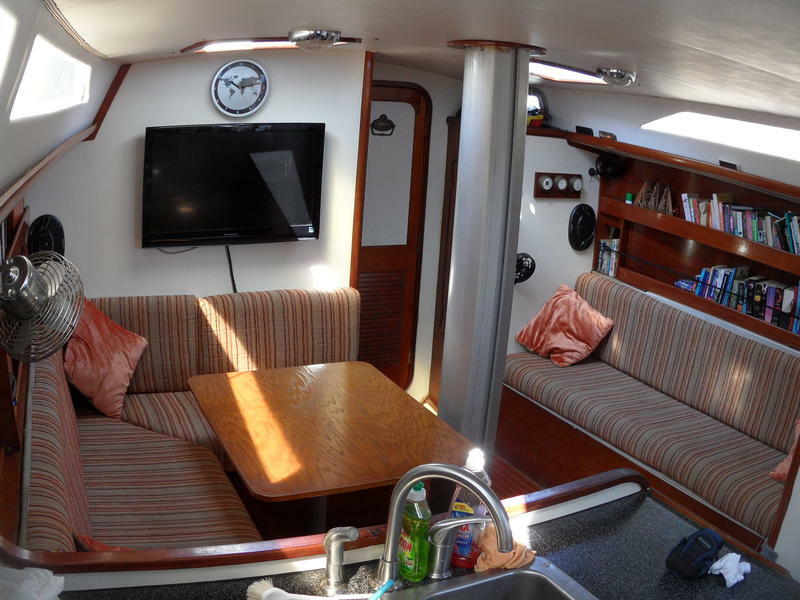 The saloon is very spacious, utilizing the full beam of the vessel forward amidships. 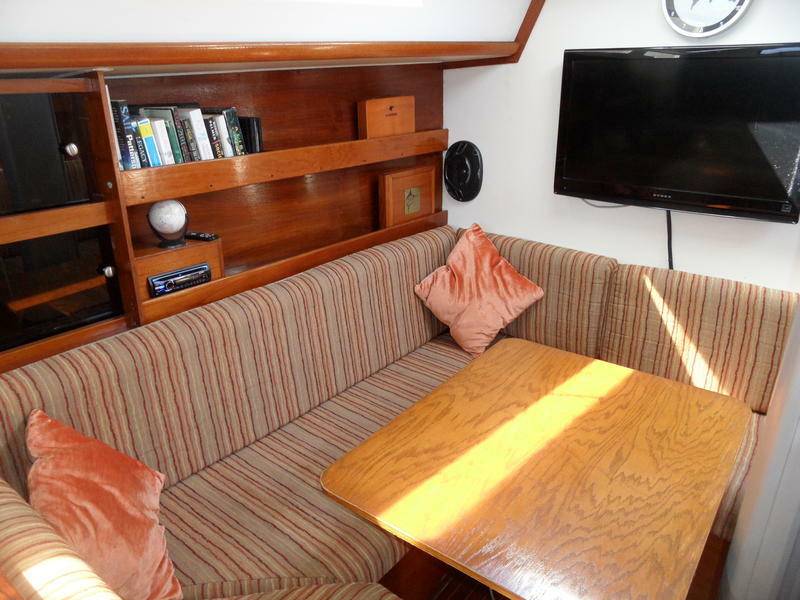 There is a U shaped seating area with removable dining table on the port side which converts to a double berth, and a large settee to starboard. Plus removable additional bunk above settee. New upholstery throughout 2011. 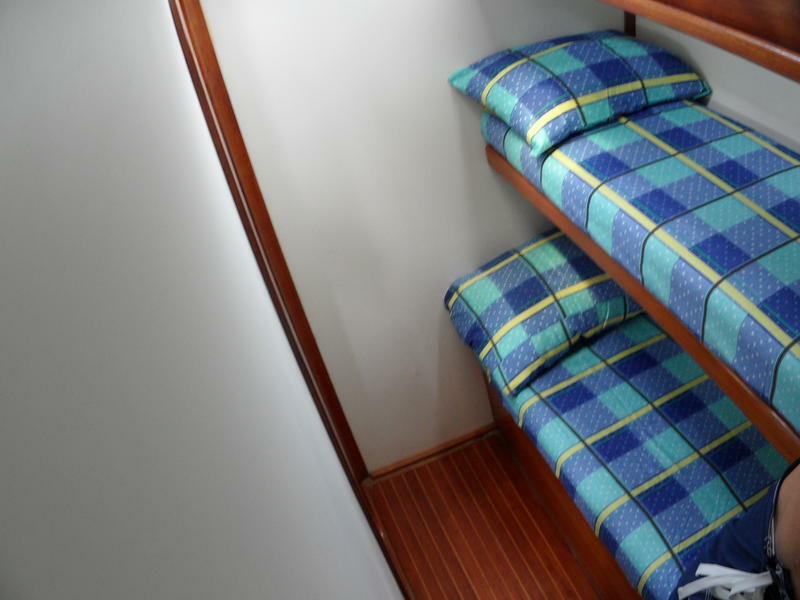 Located in the forepeak this cabin has an oversized V berth with filler to make a very comfortable double berth with private access to the guest head and shower. Yanmar 4jh the, rebuilt 2011 with 1350 hours, 3 alternators. 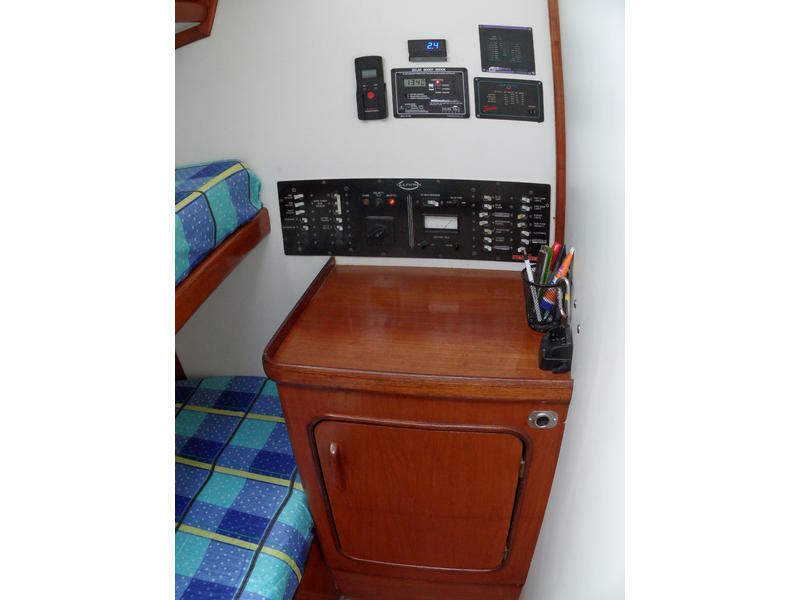 2010 Mercury Hyperlon Dingy. 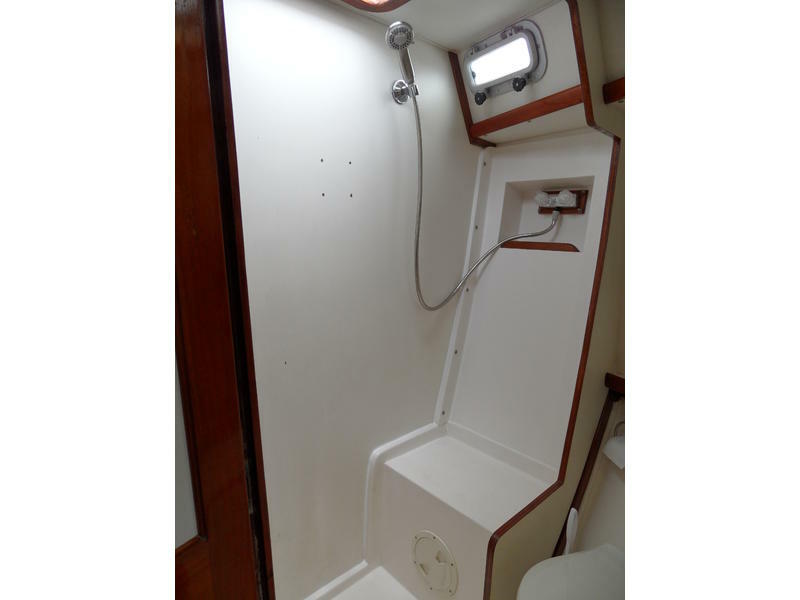 10 ft.
Dual Anchor Stainless Steel bow roller and electric windlass(2011) with 50m(170ft) 3/8″ BBB chain (2011)300m rode,on stainless CQR plow anchor.3 additional anchors, Electric deck foot switches for windlass. Chain Stopper. and stainless steel lifeline stanchions with new netting. 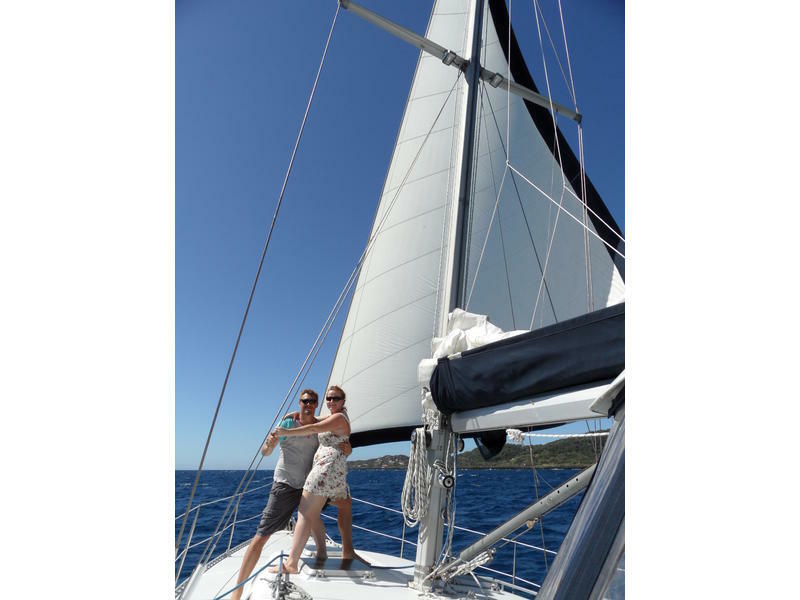 There are 2 Lewmar 40 headsail sheet winches, 1 Lewmar 40 mainsail boom sheet winch, 1 Lewmar 46 Mainsail sheet winch, 1 Lewmar 24 mast mounted halyard winch. Jib and Genoa deck mounted travelers. Fiberglass 3/4 cockpit enclosure with fiberglass arch. 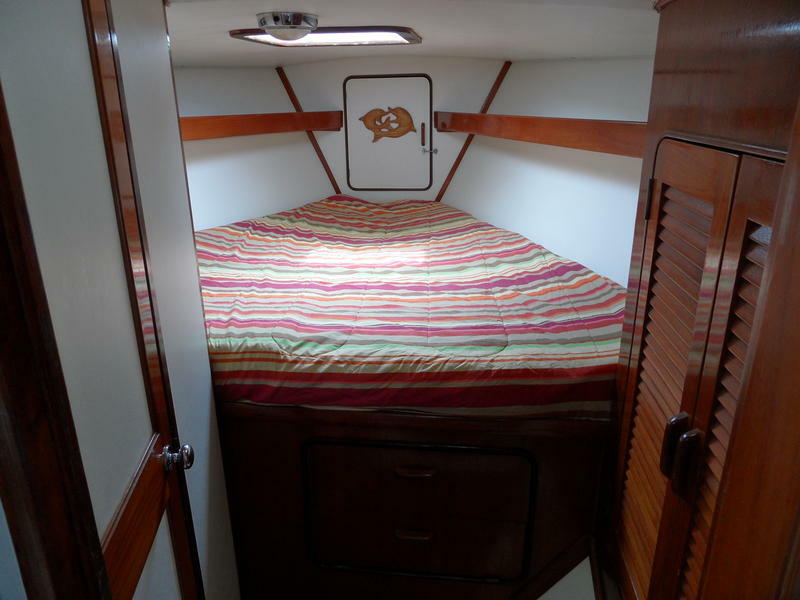 Bimini top aft. New Bimini, spray hood Panel and stack pack system (2011)in Navy Sunbrella. In 2007 the hull was peeled and barrier coated with Interlux 2000. 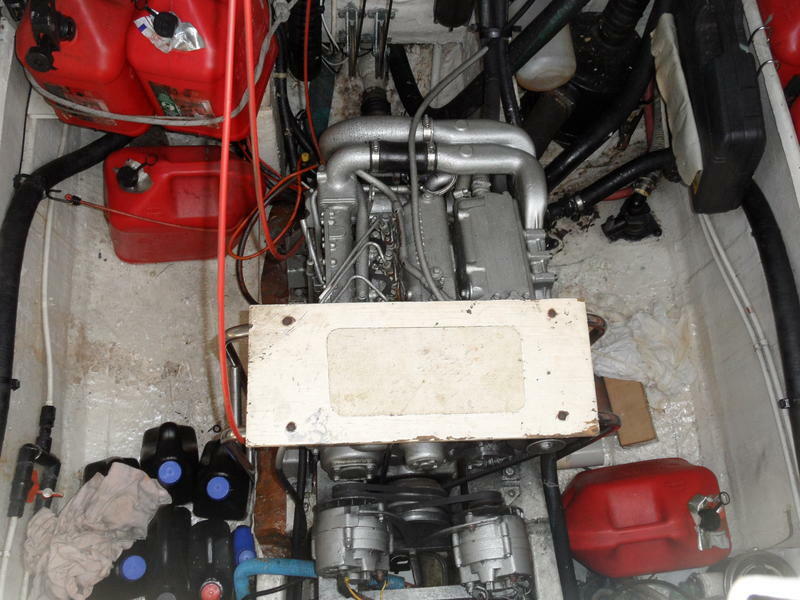 Recently hauled and checked over and Anti- Fouled November 2011.